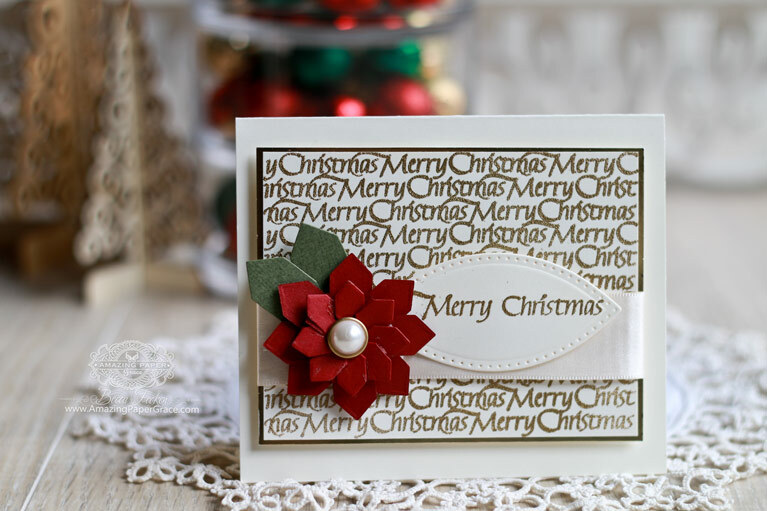 Hi there sweet friends, today is an extension of my Special Paper Touches post from yesterday. (It’s also known as Project Homecoming Daughter.) 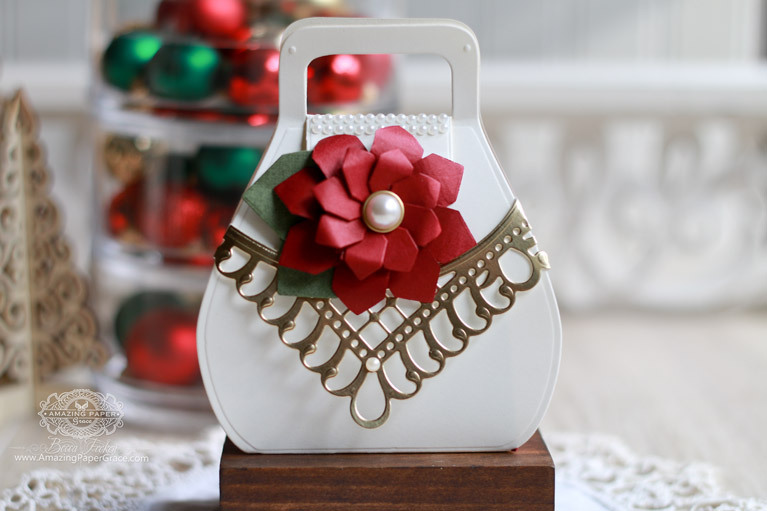 Today, I’m spinning up some Holiday Bags to go along with sweet paper touches for dessert on Christmas Day. Do me a favor, click HERE to see what I started with, and then click HERE for a little surprise :-) Okay, I could not resist. Not what you would normally expect from me? This is an well used die that many of you already have. In fact, it’s something I reach for all the time when I have a small gift to present. I loved dolling this bag up to hold her last Christmas 2017 gift. 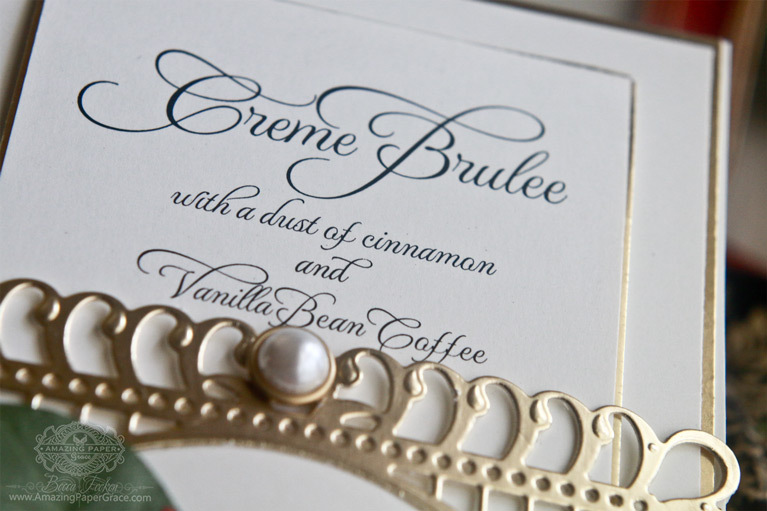 I used the Favorably Simple Gift Bag to create a bag that matches the decor of our upcoming dessert extravaganza. Last week I figured out I would need several more to hold cookies for some ladies that always keep my cup of coffee filled at a local breakfast diner. With Christmas closing in, I picked some pretty holiday card stock to make things move along quickly!! 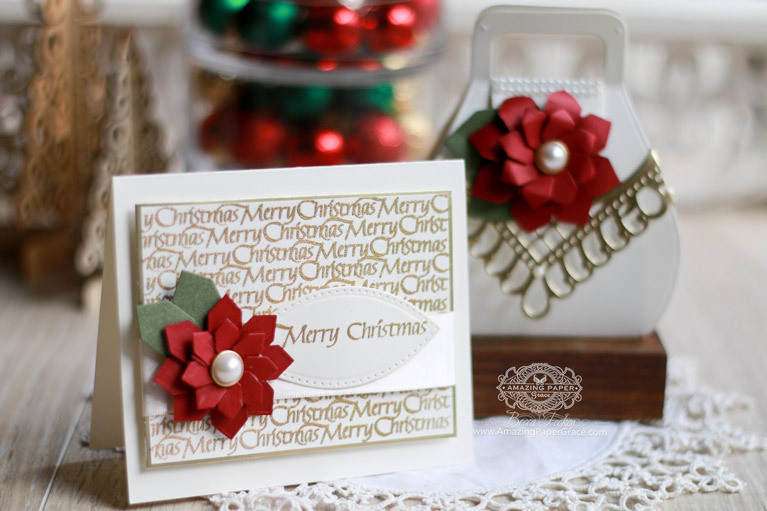 I had the same dies on my desk for an extended period of time and I wove them through several of my Christmas projects. I found myself reaching for the Angled Fold and Go Flowers because it looks so much like a holly leaf and also used it for a Poinsettia look. 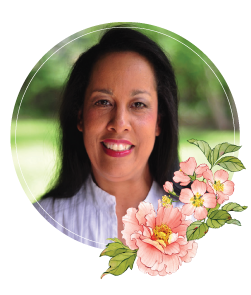 Again I reached for Bella Rose Lattice Layering Frame – purely as a partial embellishment. Finally, I reached for Vintage Pierced Banners for the sentiment on the matching card. In addition Quietfire Design stamps saved the day! For those of you who are new to the blog, some time ago I made a video showing how the bag goes together —–> HERE. I’m partial to the elegant versions of the bag, but the cute versions are just right for happy occasions and little ones! 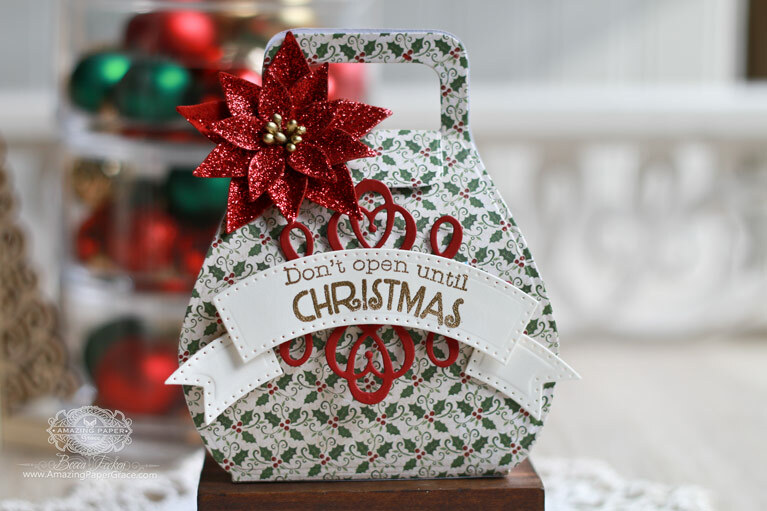 I’m blogging over on the Spellbinders Blog today with the cute versions of this bag —-> HERE. I hope to see you there!! In the mean time, please have a heartwarming, heart tugging, memorable Christmas!! I’ll see you soon! Good morning Becca, simply gorgeous! !! Your daughter will love these!!! Have a good one! !! Loving these bags and the way you decorated them. Beautiful card too. Hi Becca they are toooo cute ! Beautiful! Happy Christmas to you and your family and all your followers. You’ve done it again Becca – how every beautiful your “bags” are! Thank you so much for sharing your works with us. Wishing you a very special Christmas and an extra special year to come.